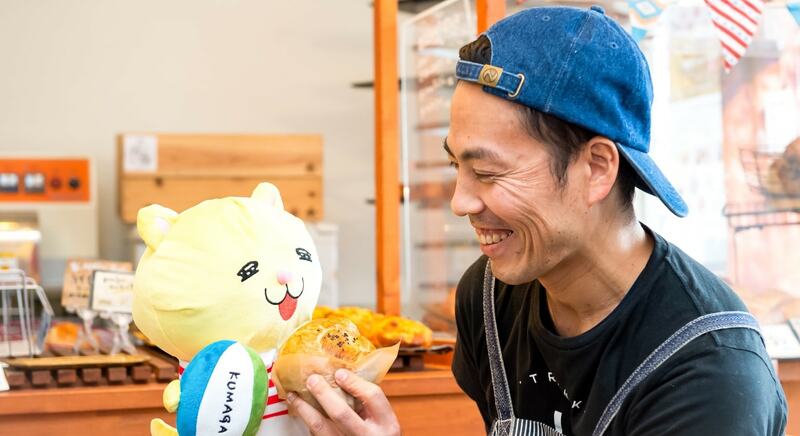 Kumagaya's new famous product – springy-textured, modest bagels! 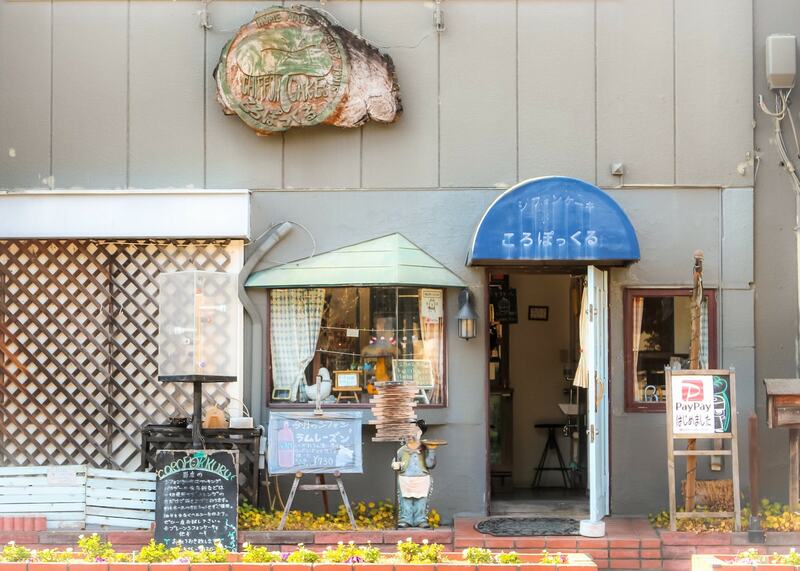 Along Rugby Road, there is a store with a somewhat nostalgic, Showa-style entrance that is filled with the aromatic scent of freshly-baked bread. The counter of this small store is lined with cute, round bagels. One of these bagels is the miso bread bagel (260 yen), which is rapidly becoming popular as one of Kumagaya's specialties. These bagels have a simple, relaxing flavor with that comes from the sweet, spicy miso sauce used in yaki-manju (baked steamed buns). 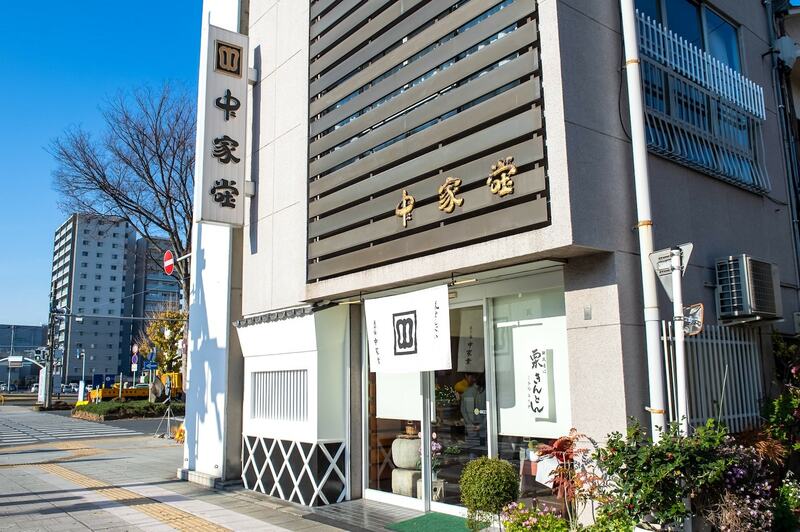 Incidentally, yaki-manju is a specialty of Gunma Prefecture, which neighbors Kumagaya. Miso bread bagels have a pleasant, springy texture and a delicious miso flavor, making them popular among adults and children alike. 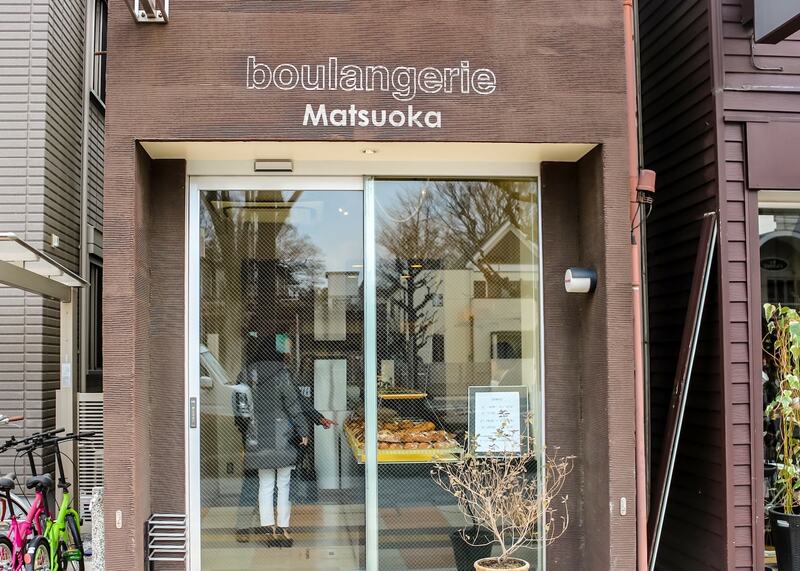 There are also standard bagels like the popular red bean paste, walnut and cream cheese bagel (280 yen), the fish roe and crispy cheese bagel (260 yen), then there are season-limited bagels with seasonal ingredients like TATA's baked potato bagel (380 yen) and the spring onion, soy sauce and cheese bagel (280 yen), which uses organically-grown spring onions from Fukaya. In total, there are about ten different bagel varieties available in the store at any time. 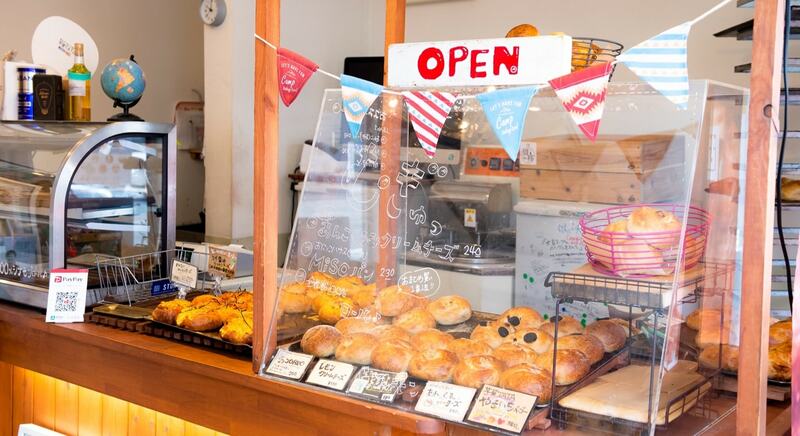 The store's motto is: “Make everyone happy with delicious food!” Mr. Takeshi Usuki*, the store's owner, is a big influence who brightens the community – he has organized the One Million Project, in which 10 million yen will be donated if 1 million miso bread bagels are sold, and other events that got the surrounding shopping area involved. 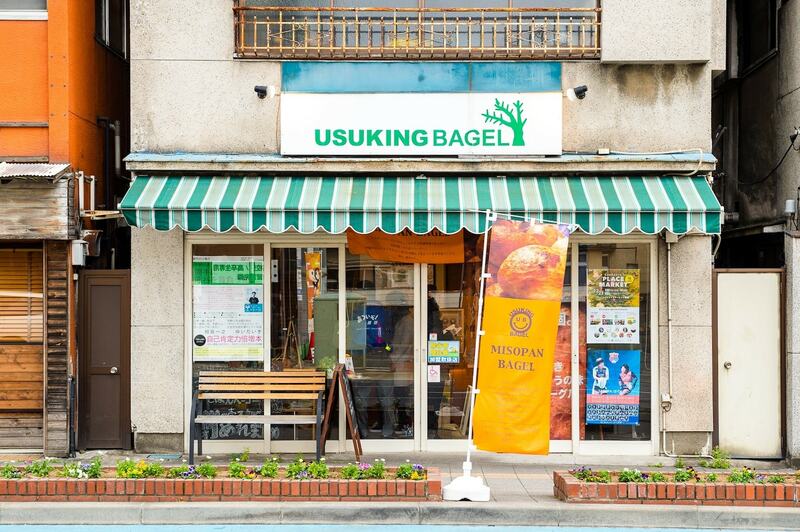 You can enjoy a fun conversation with Mr. Usuki while you're buying your bagels! 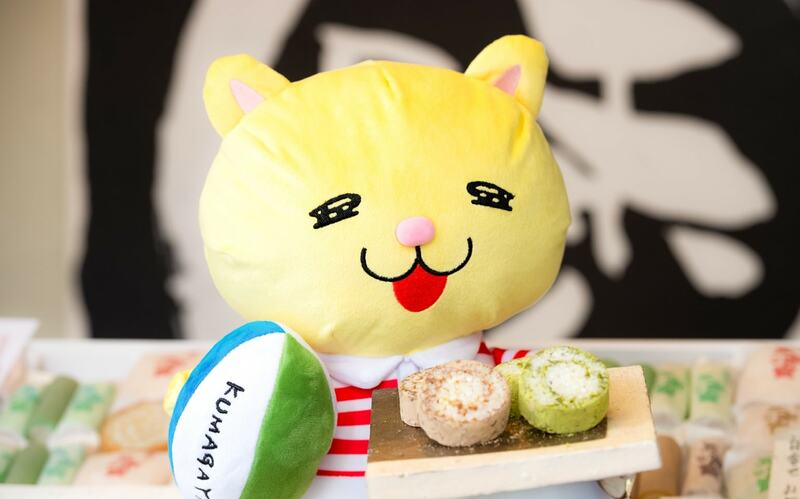 Mr. Usuki is already making plans for Rugby World Cup 2019. Stay tuned for more details! Their chewy bagels keep you satisfied for a long time. They are perfect snack when you are walking around the city. Enjoy their bagels!! 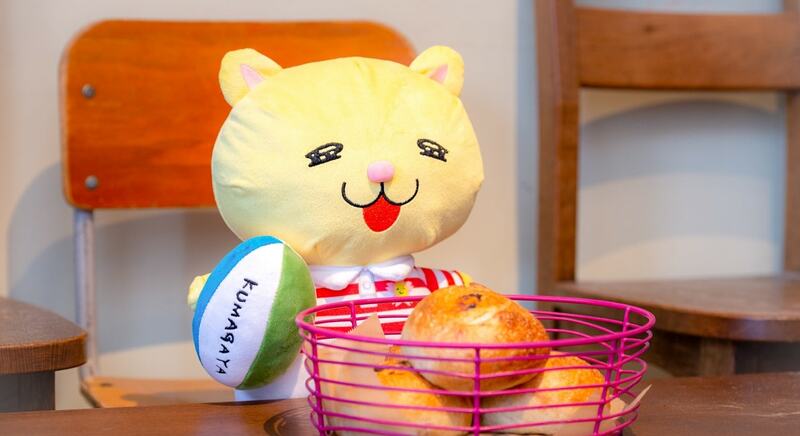 During the Rugby World Cup, our menu will be available in English as well. Feel free to speak to us in your native language! Perfect souvenirs! 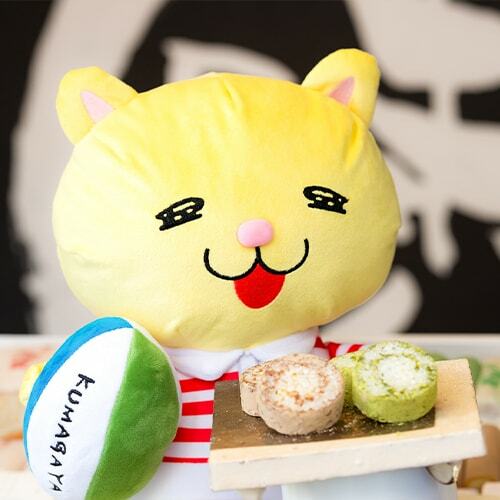 Just what is the “yawaraka,” Kumagaya's new famous product created by Bairindo? 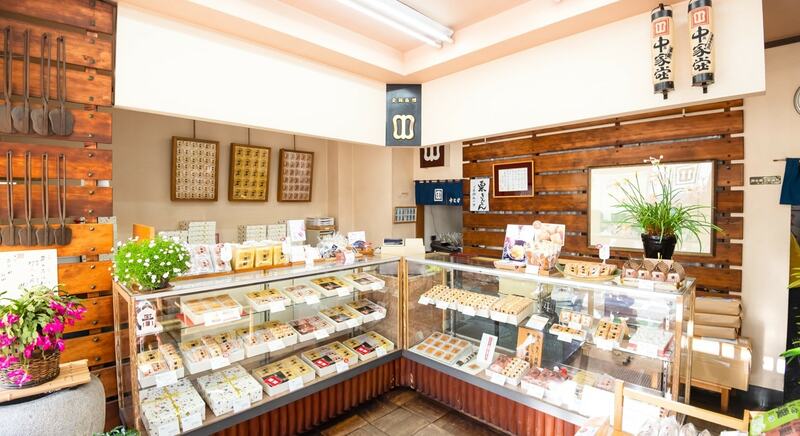 Bairindo is a Japanese confectionary shop that was established in 1864 and is still loved by the people of Kumagaya today, over 150 years later. Have you heard of the yawaraka, the gentle-flavored, soft sweet that can be called their flagship product? It's a soft Japanese shortbread biscuit that is made by wrapping white chocolate in dough with soybean flour kneaded in, then baking it lightly. The resulting texture is a fusion of Japanese and western elements. It's very popular, with an astounding 4 million biscuits being sold every year! 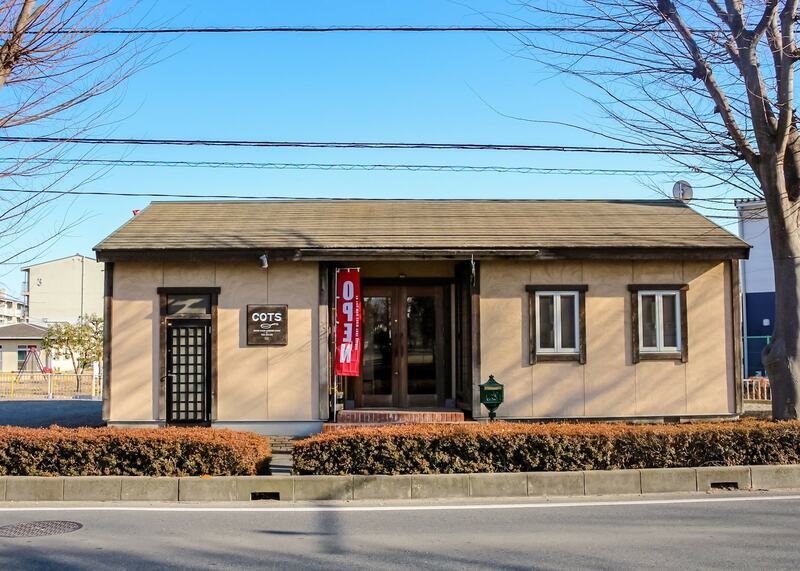 Bairindo's Rugby Road branch is located on the Rugby Road that connects Kumagaya Station to Kumagaya Rugby Stadium. 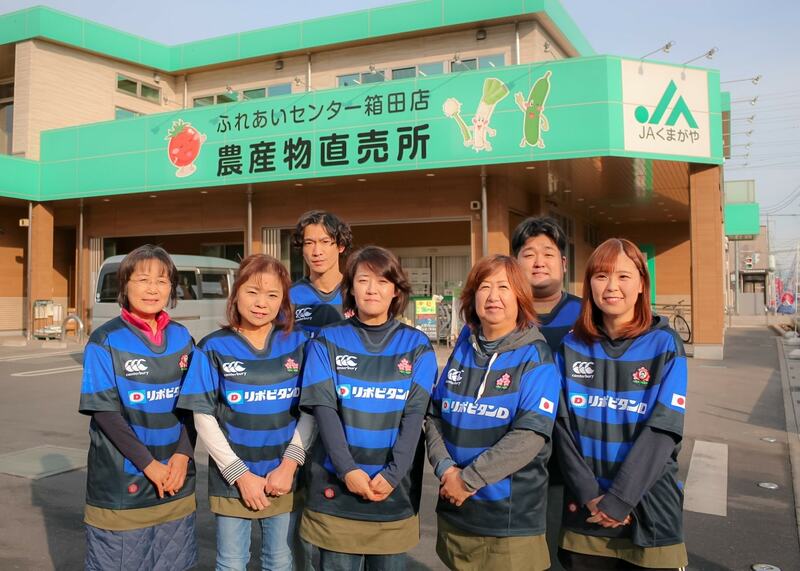 All of their staff members proudly wear the rugby jerseys of Japan's national rugby team, wanting to build up excitement in the community for the Rugby World Cup. 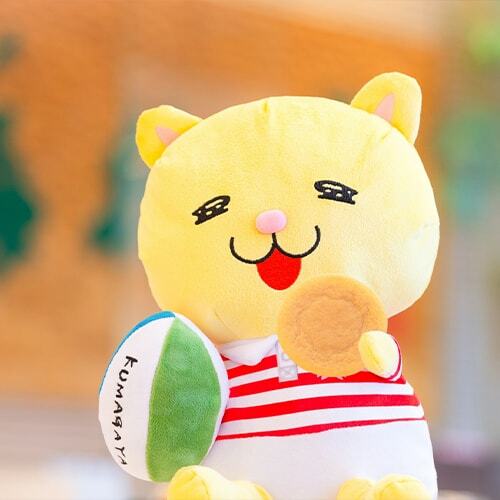 Their smallest Rugby World Cup souvenir pack contains two biscuits, making for a great light souvenir. Bairindo also provides a wrapping service for items purchased as gifts. With impressive skill, they wrap items in gorgeous, Japanese-style wrapping paper with a ribbon tied into a bowknot. This elaborate wrapping would be well-received not only by foreigners, but Japanese people as well! YAWARAKA is a soft and moist sugar cookies. 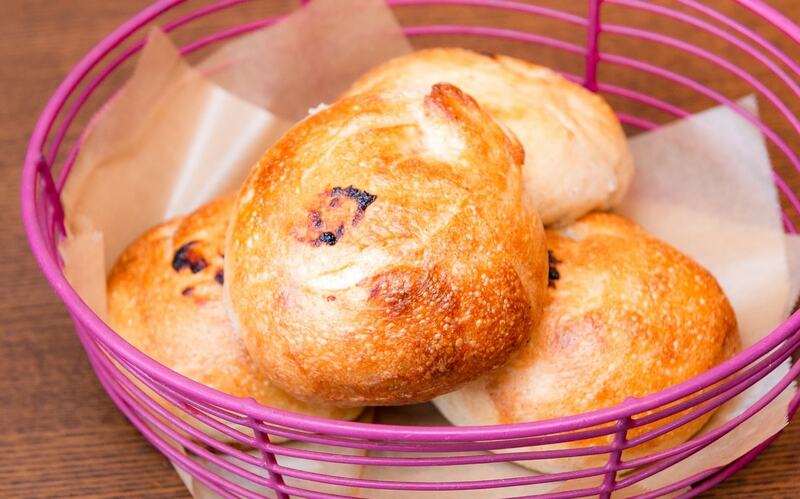 Before they are baked, they are shaped like round buns. Did you kMeow? 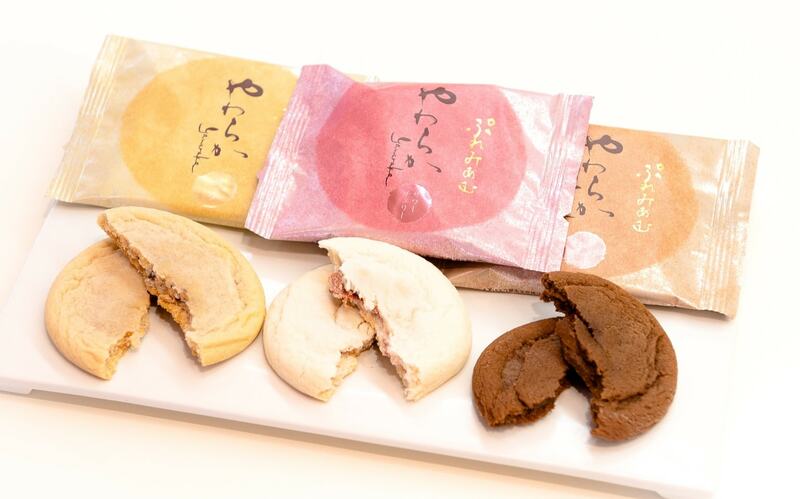 Yawaraka biscuits are sold individually, so many customers buy them as household snacks. They keep for about a month after purchase, so feel free to buy them as souvenirs as well! 14 minutes' walk from JR Kumagaya Station north entrance. 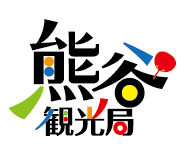 Chukado's mark is the gunbai, a well-known fan that is carried by sumo referees. 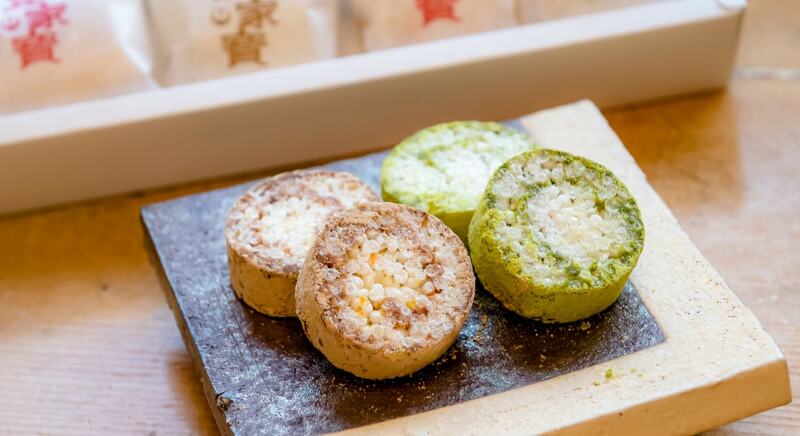 The gunbai was originally a tool used by military commanders to give orders in battle, but here, it takes the form of a variety of Japanese sweets! 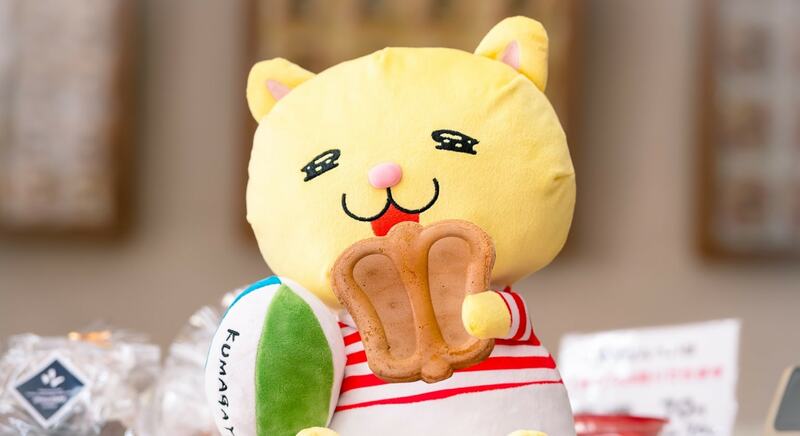 A particularly popular Kumagaya souvenir is the gunbai cracker. Gunbai crackers are made using only wheat flour, sugar and eggs. 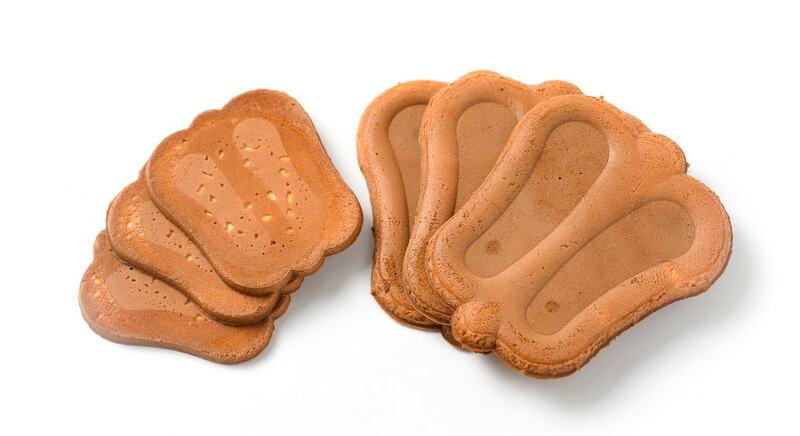 The dai-gunbai (large gunbai) contains more wheat flour, giving it a more prominent wheat flavor, while the shou-gunbai (small gunbai) features a more egg-based flavor. These crackers have simple ingredients and a very straightforward flavor. Ruggernyan recommends that you try and compare both! 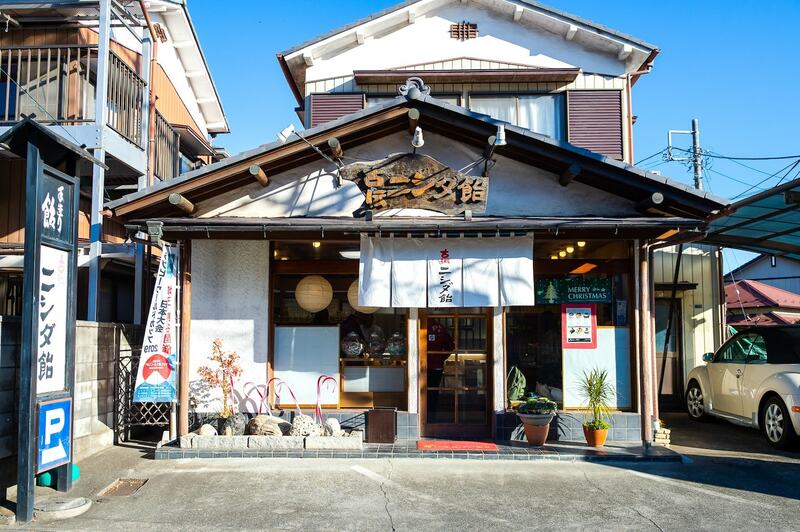 Chukado was established in the early years of the Meiji Era, along the Nakasendo Highway. Even back then, Kumagaya was a wheat-producing region. When people thought to use this wheat in a snack, Kawara crackers were born. These crackers were modeled after the kanji character “中”, which is read as “naka” in “Nakasendo.” They were named after gunbai, which are said to ward off evil spirits and bring good fortune. This was the beginning of the gunbai cracker. The store has continued for over a hundred years, but they still place a high value in the ingredients they use and their process of creating their crackers by hand. Flour made from Kumagaya-grown wheat is used in order to preserve the original delicious wheat flavor of gunbai crackers. The crackers are baked carefully to produce the best texture. 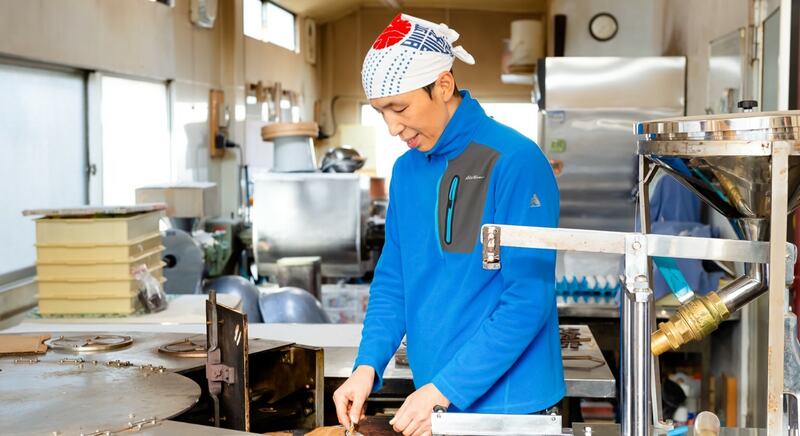 In their monaka (wafer cake filled with bean jam) and yokan (jellied desert made from red bean paste), they use nationally-produced, mineral-rich adzuki beans. 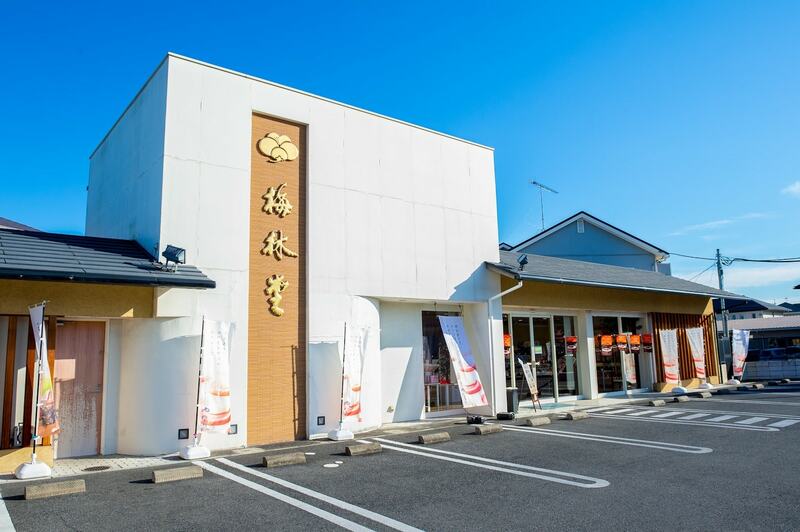 A significant amount of time and effort is put into their products that are prepared in the factory next to their store – for instance, the adzuki beans are turned into paste over three days. Their gunbai crackers are sold individually, so they're perfect to have as a snack while walking around. They're a best-selling souvenir that can also be enjoyed at home. "Both Big-Gumbai and Small-Gumbai are 76 Yen each. Perfect snacks for children, Meow." 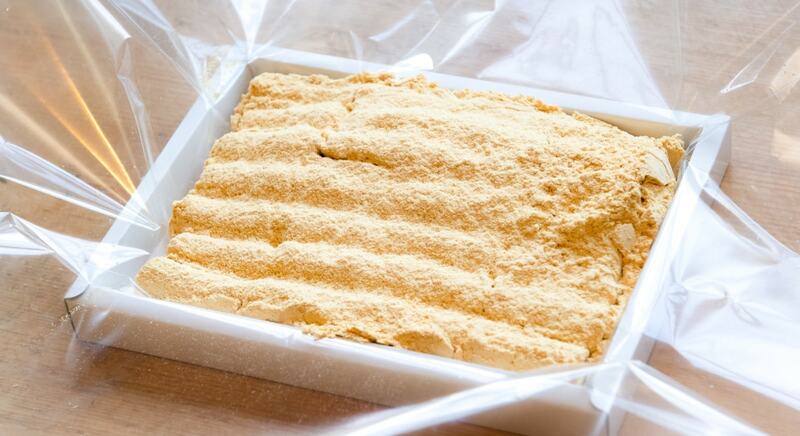 Our gunbai crackers are loved as famous Kumagaya products, and are even used as snacks in local nursery schools. They are lightweight and keep for a long time, so they make for the perfect souvenir! 5 minutes' walk from JR Kumagaya Station north entrance. There are about 30 different kinds of candy at the store's entrance! From the standard flavors like strawberry and cider to the traditional, unique shapes like the Chinese onion shape and hammer shape, every piece has something interesting to it. There are also season-limited flavors, like summer's refreshing salt and chili flavors or winter's rich red bean and strawberry milk flavors. Now might be your only chance to try a unique flavor! Mixed bags to give as gifts are available, but Ruggernyan recommends buying a casual, small bag. One bag starts at 100 yen, so you might want “just one more” and end up with more than you intended to buy! The candy is also available in small, attractive bottles. 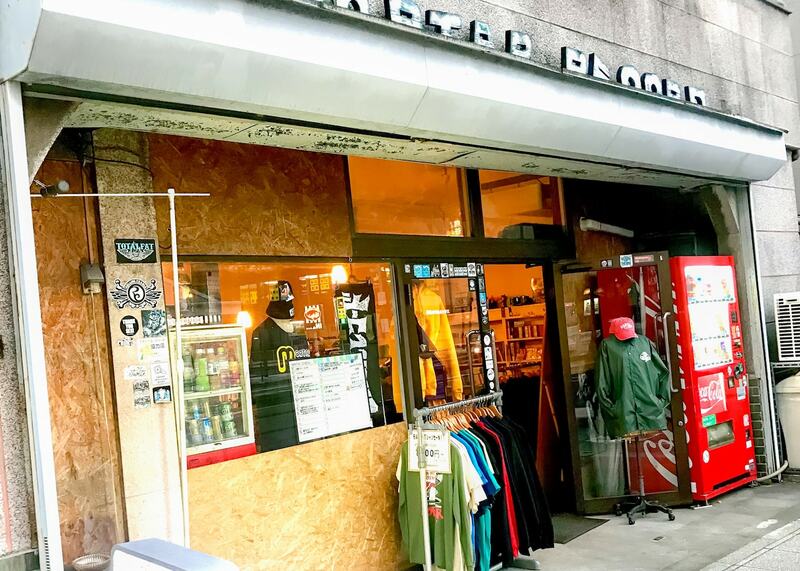 Recently, there are more foreign customers who have learned of the store from the locals. 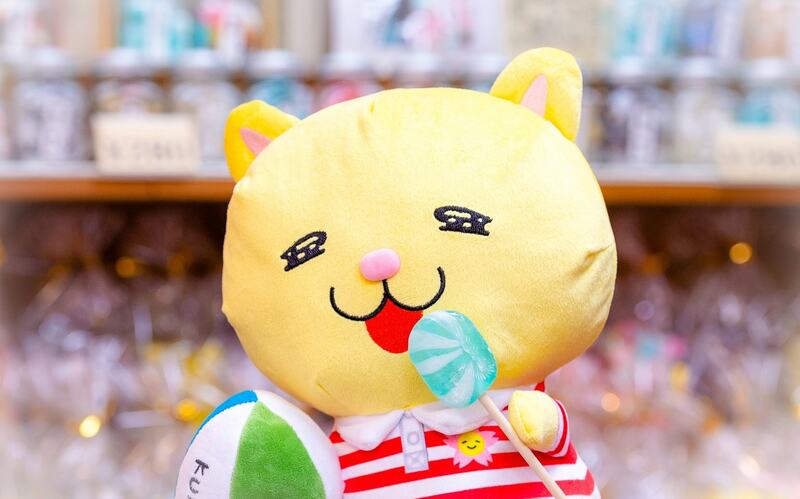 The candy makes for a colorful souvenir that keeps for a long time! 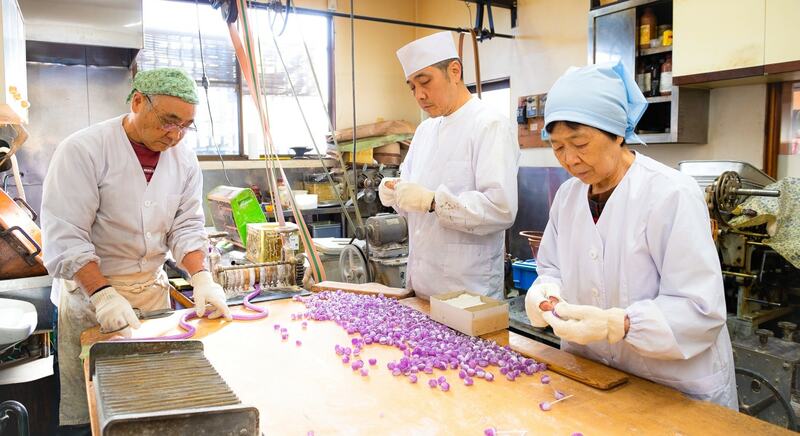 All of Nishida Ame's candy is handmade. The back of the store is a workshop, and candy is made there every day from morning till night. The gentle-flavored, handmade candy is sold to all kinds of customers, from schoolchildren who buy it as a snack to the elderly who buy it to cure their dry throats. 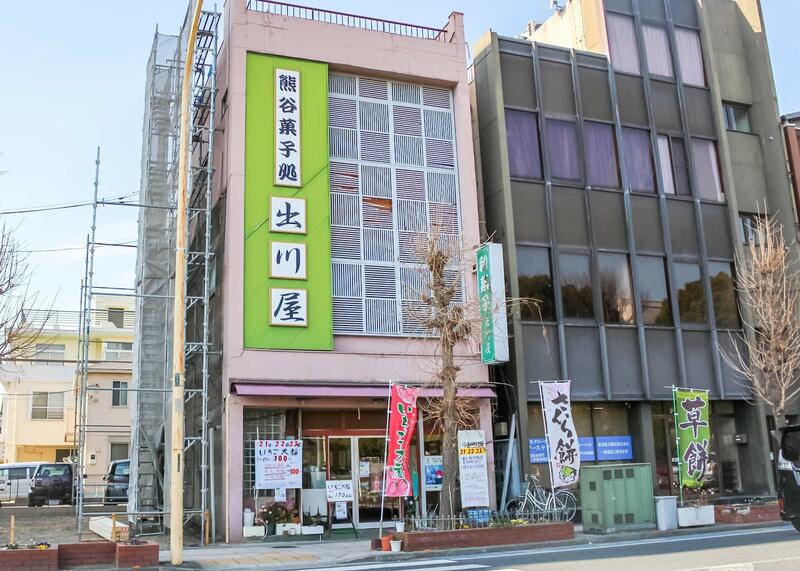 It is the “town candy store,” so loved by the people that there isn't a person in Kumagaya who doesn't know of it. One hard-candy stick is only 30Yen. 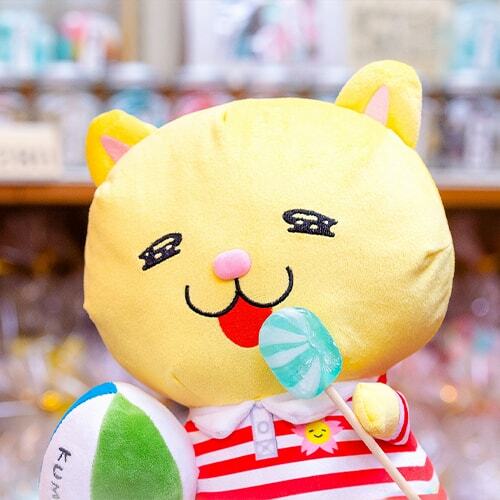 I always buy one when I take a walk in Kumagaya, Meow. 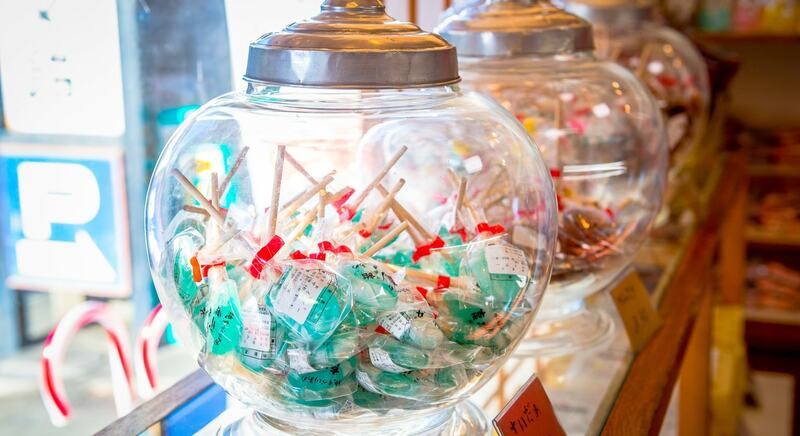 We recommend our colorful Temari candy and our distinctly Japanese tea candy. 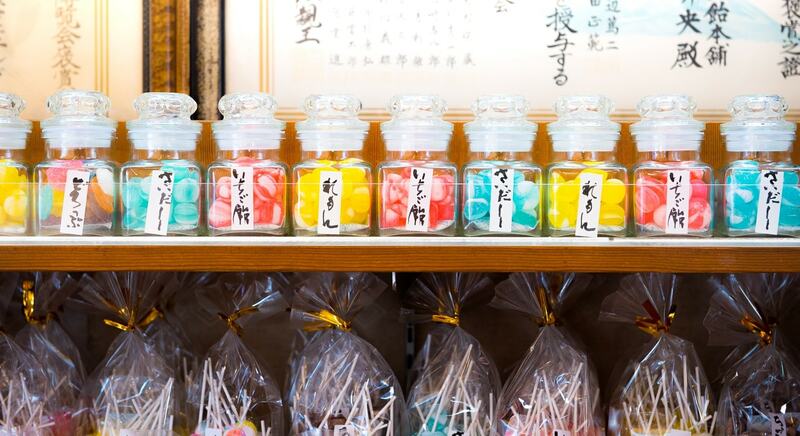 Our Nyaozane sake cup, which we fill with a variety of different flavors of candy, makes for perfect for a souvenir! Have you heard of gokabo? 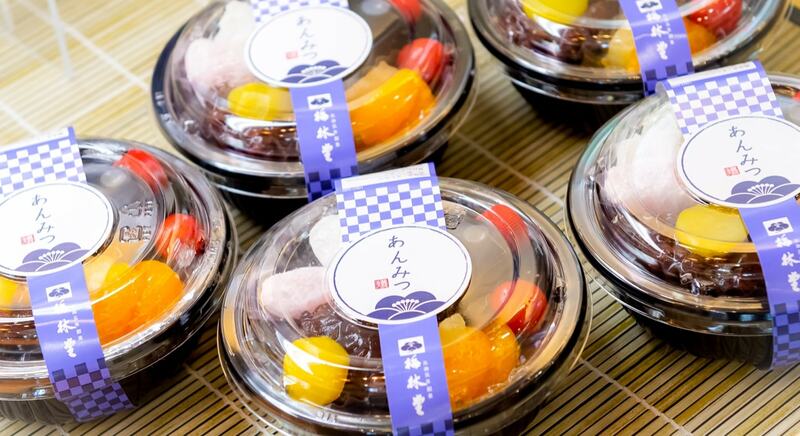 It is a traditional, famous Kumagaya confectionary item with a long history, having been first sold during the Edo Period. 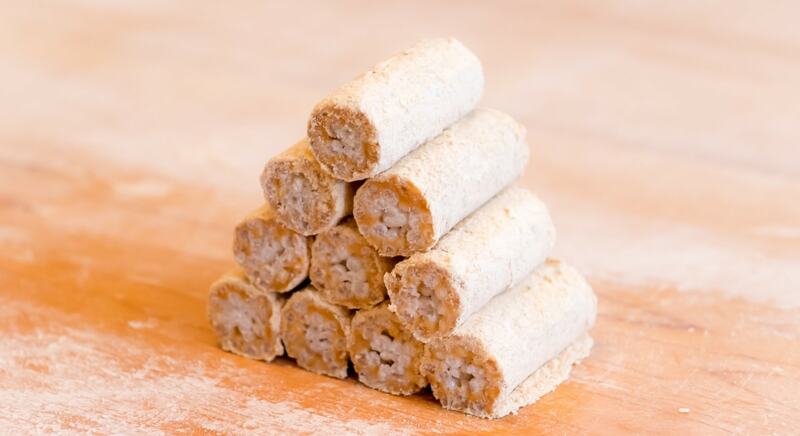 It is made by adding sugar and glucose syrup to steamed glutinous rice, stretching it into a cylindrical shape and then covering it in soybean flour. 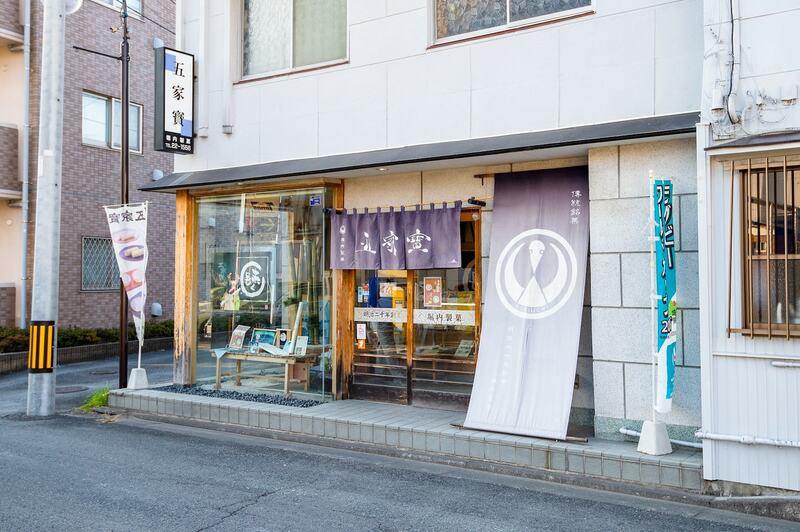 Horiuchi Seika, which was established in 1888, creates gokabo with new aspects while still preserving old traditions. Their motto is, “Always offer fresh products.” The current owner of the store, the fourth owner, has continued along this path for about 30 years. 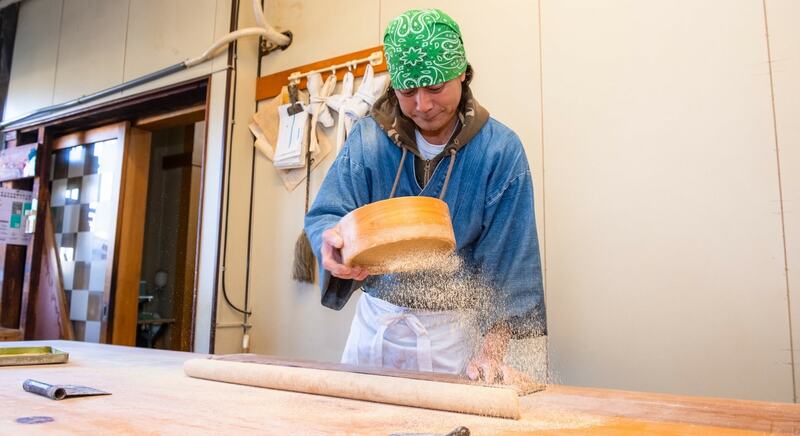 He carefully makes each gokabo by hand, making adjustments such as the changing the amount of water he adds depending on each day's humidity and air temperature. Thus, freshly-made gokabo lines the front of the store every day. The unique feature of this store's gokabo is the softness. The soft consistency adds to the simple flavor that one cannot become tired of, resulting in gokabo that is easier to eat. The crispy texture and elegant flavor that melts in the mouth are loved by men and women of all ages. Of course, it is additive-free, making it gentle on the body as well. Local children buy gokabo as snacks to be enjoyed at home. In addition to the standard soybean flour gokabo and uguisu (green-brown) gokabo, there are also season-limited gokabo (Available for 105 yen each, tax not included). These include the sakura gokabo and sake-kuzu gokabo in the spring, the coconut gokabo and brown sugar walnut gokabo in the summer, the apple-cinnamon gokabo and maple nut gokabo in the autumn, and the cocoa-orange gokabo and matcha-white gokabo in the winter. These season-limited varieties are loved by younger fans of gokabo. 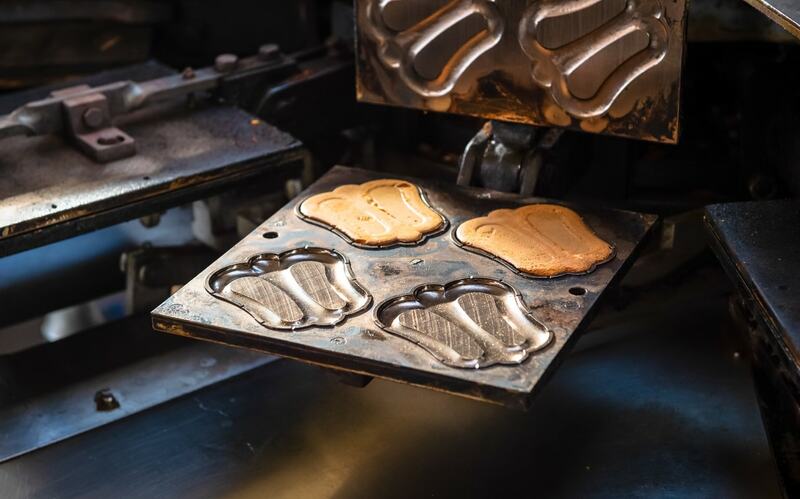 Gokabo is handmade with meticulous care, making the best use of the fine ingredients. Why don't you try experiencing the essence of Japanese culture through a Japanese treat that has been passed down for generations? You will be hooked on the unique texture of Gokabo. I like the gentle flavor of Kinako. I encourage you to try the different seasonal flavors. Though we preserve old traditions, our products are evolving every day. 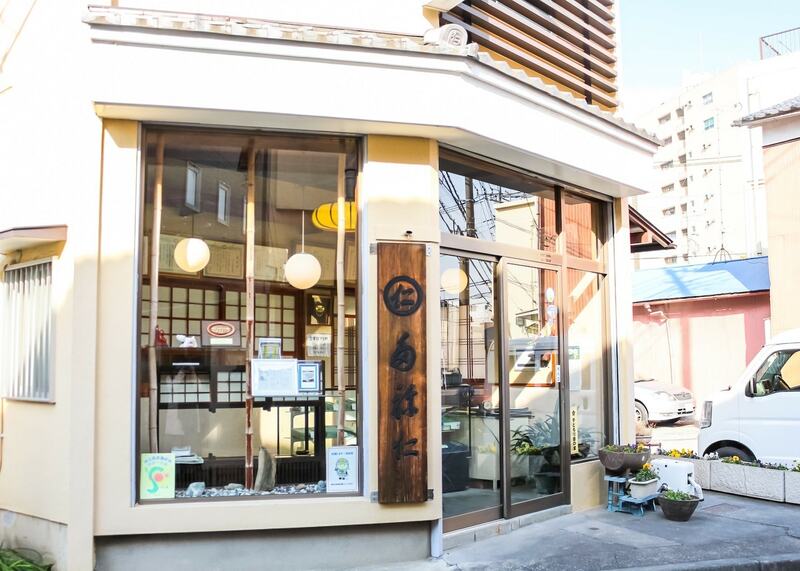 Please, try our gokabo that is loved by today's people!